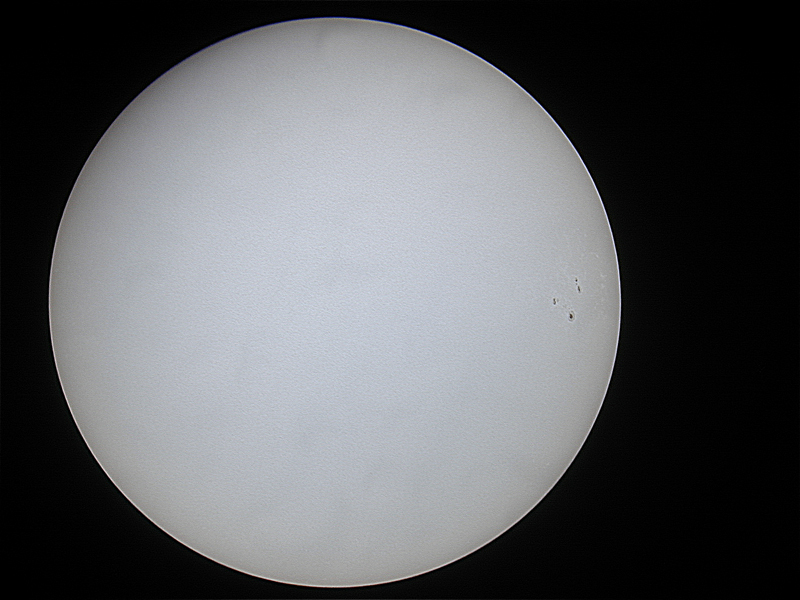 The images below were produced on a Nikon 950 (2 Megapixels) digital camera using afocal projection via a 40mm Plossl eyepiece. Registax was used to stack 40 separate images and the image was reduced to 800x600 pixels. 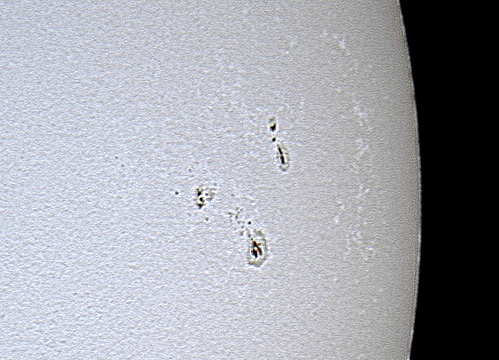 Stack of 101 from 129 images using Registax5. Images obtained using the camera's maximum optical zoom after maximum digital zoom was used to achieve the best possible focus. Image is a small part of the original 1600x1200 pixel image at the camera's highest possible resolution.